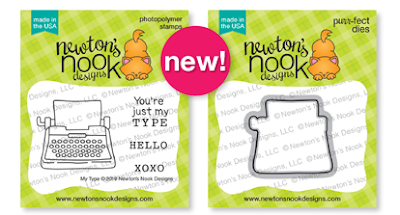 Welcome to day 4 of the Newton's Nook Designs January Release! 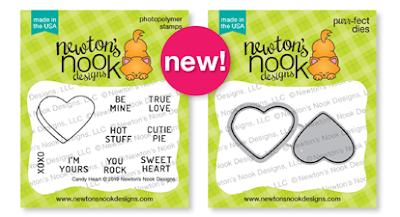 All the new products will be available for purchase tomorrow Friday the 18th in the Newton's Nook Designs Shop! We have 2 of new mini sets to reveal today! 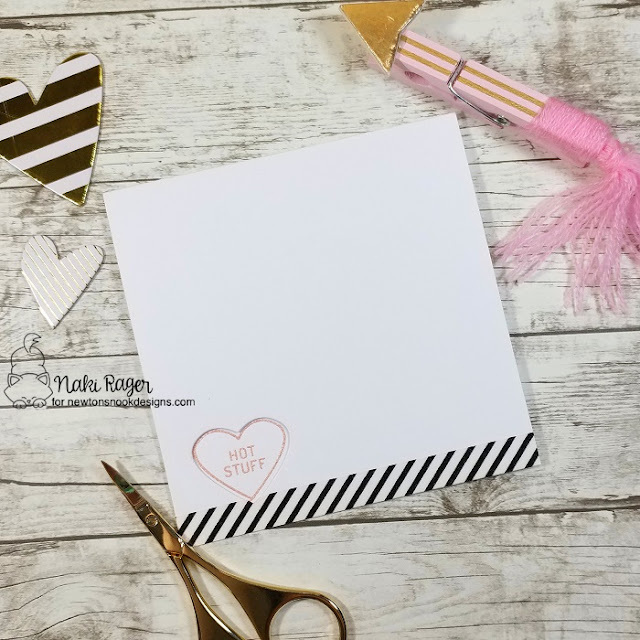 This one is called Candy Heart, isn't this the sweetest little stamp set ever!? So I had this idea to die cut a heart using the new Candy Heart Die to create a little window. Other than that, I didn't have any designs on my mind, sometimes you just have to start creating and see what comes to your mind... Well, I wanted this super CAS look and this black and white striped washi tape was all it needed! 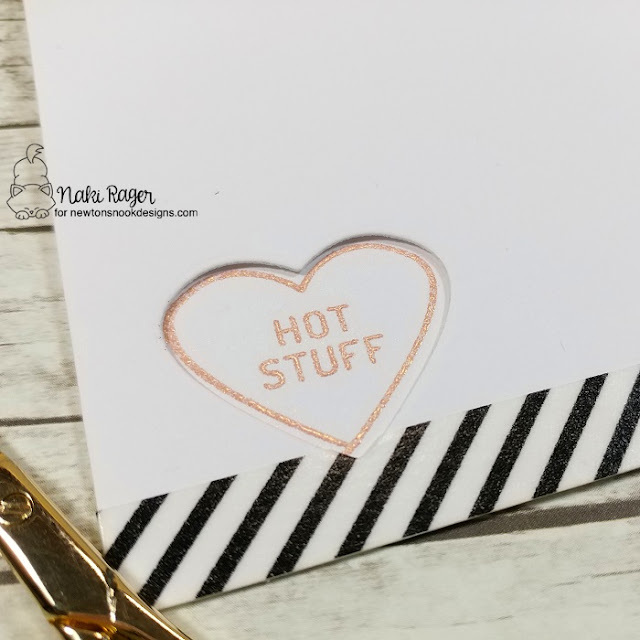 The cute little piece of heart candy with the "hot stuff" message was heat embossed with rose gold EP on the inside, which peeks out of the heart window on the front panel. I borrowed the Happy Valentine's Day! sentiment from the Love Owl-Ways Set, which was revealed yesterday. The My Type Mini Set is absolutely fun and gorgeous! You open the card and pop! The beautiful typewriter pops up! Here is the close-up. I stamped the image with black on kraft cardstock twice and colored one of them with colored pencils. 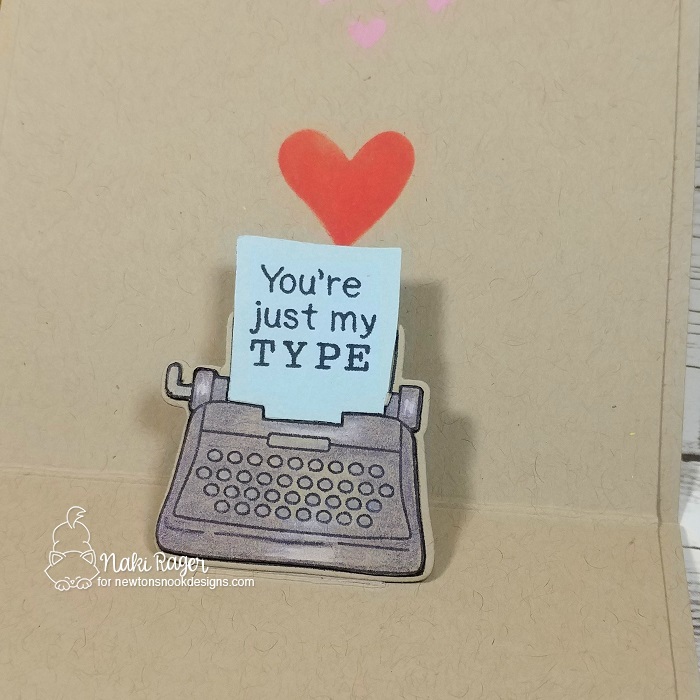 When I fussy cut the colored image, I removed the paper coming out of the typewriter from it and replaced with the blue piece with this cute sentiment stamped on it. Then it was paper pieced onto the other image, which wasn't colored but die cut using the coordinating die. 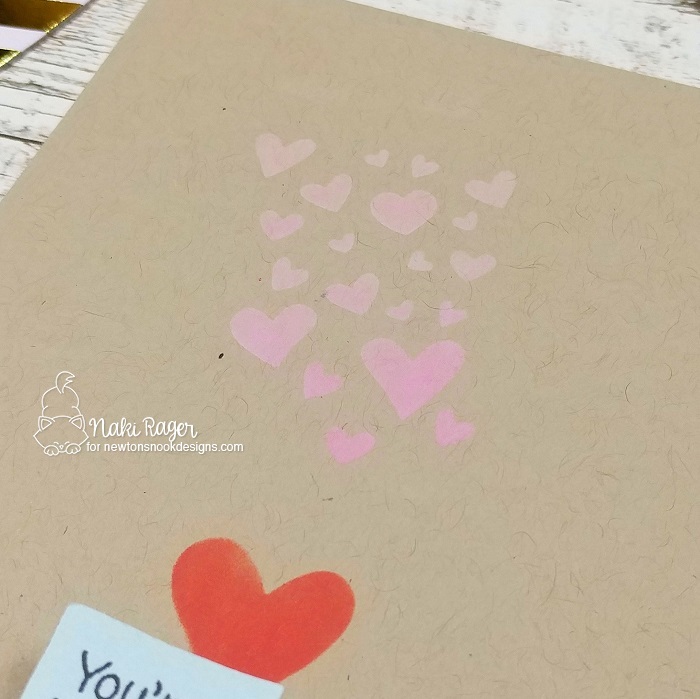 While keeping it CAS, I still wanted a bit of fun, so I sponged some hearts using the Tumbling Hearts Stencil and pinks and red Distress Ink. I picked specific hearts then masked the rest with the painter's tape before sponging. Aww! They're both adorable, Naki! I love the pop-up element too! Adorable cards!!! I love the pop-up element in your second one! Too cute!!! 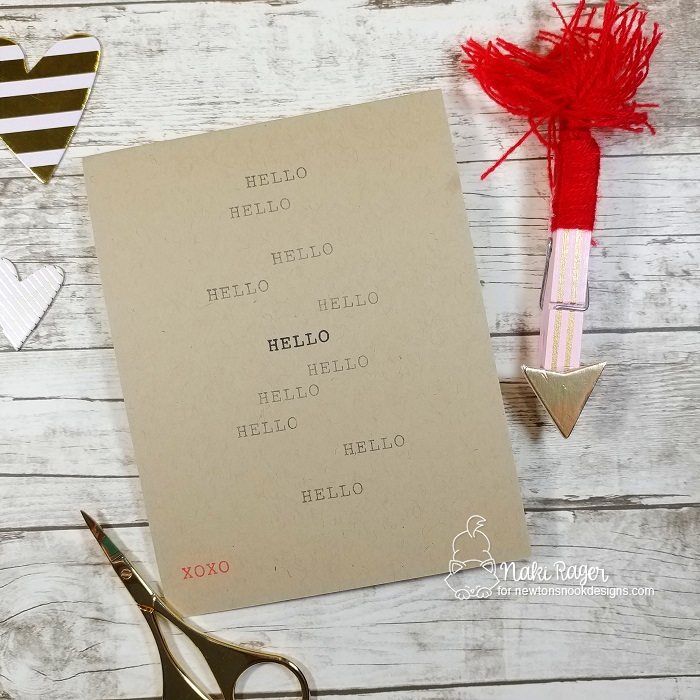 simple, brilliant, pop up fun cards! Loving your clean and simple cards! Your CAS designs are SOOOOO unique! I love the typewriter! I like your peek-a-boo heart and pop-up typewriter! These cards are adorbs! I love the fun heart cut out! And the typewriter pop up inside is so cool! The added blue paper is super cute! I love your Clean And Simple cards! I just became a new subscriber. I'm loving these sets! 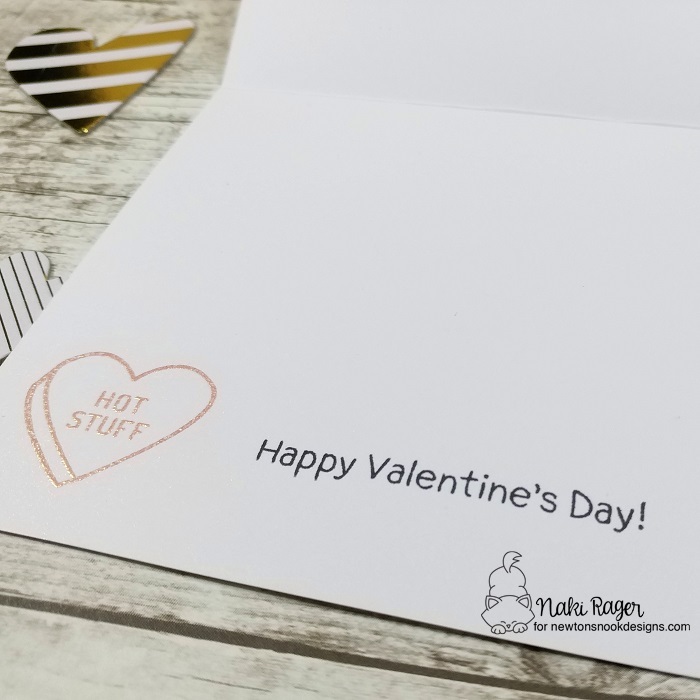 Love these sweet and simple cards with the cute stamped surprises inside! Really like the pop-up design! 2nd card is such a fun surprise; love that typewriter! Great clean and simple cards. I love the pop-up feature of the typewriter on the 2nd. 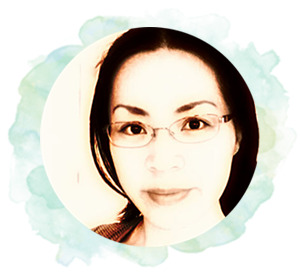 Cute designs. I really like the pop up typewriter. Awesome cards! 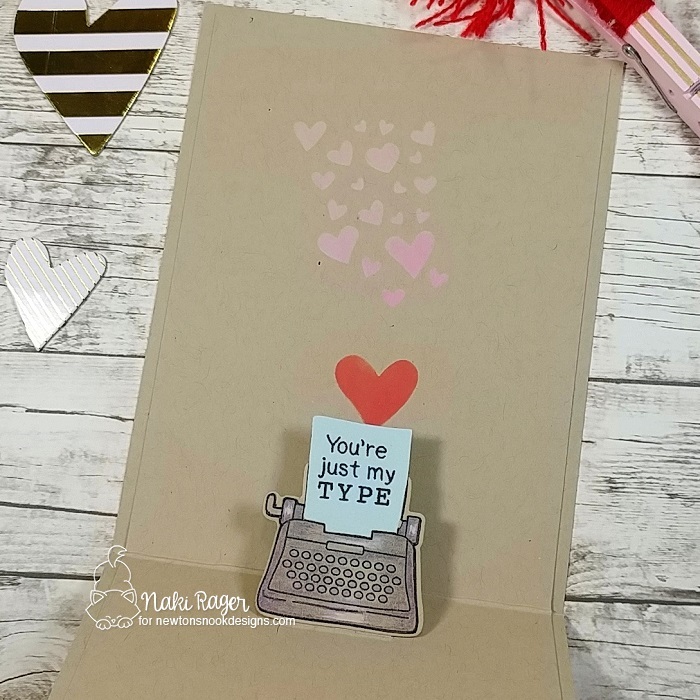 Love that cute typewriter pop-up! Fabulous idea! These are both so different than the other designs - love the pop up typewriter. Adorable!! Oh my - such sweet Valentines! Loving that pop up typewriter! Both cards are very understated and clean which I like. But the second card having the pop-up typewriter with hearts fluttering above it is just SENSATIONAL!! Love this idea!!! Love that pop up type writer. So cute!